So what’s your home? Can you only have one? I have many many homes and am very happy to take up more. Home for me can be the fale in Fiji where I’m staying in for the week, where I have unpacked my suitcase, enjoy the company, eat my dinners and feel happy and comfortable. Home is New Zealand, where I currently live and when I travel internationally I am excited to fly back home to New Zealand. I’m also going home when I am visiting my family back in the Netherlands, where I grew up, where everything feels so normal even if I have been away for ages. Home is Manly, Sydney, where I lived for 6 years before coming to New Zealand. Beautiful Manly, with its rockpools, local snorkelling spots, beach volleyball courts where we smashed lots of weekend hours away and where I made many friends. And of course Auckland is home, but so is the suburb within Auckland where I live. The local harbour beaches, cafés and people I know from the bus stop and walking the dog, they make me feel like home. And as soon as I drive north from Auckland, and turn of State Highway 1 towards Paparoa, I feel like I’m coming home again. 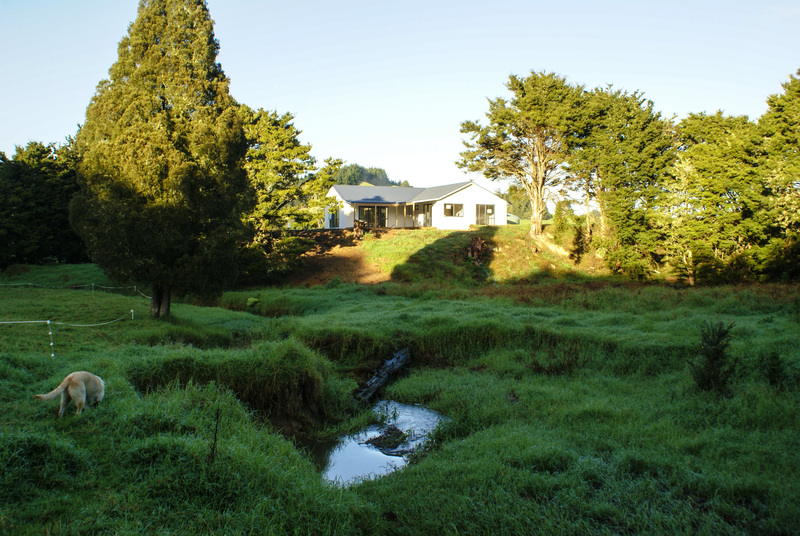 Home to the trees, the stream, the neighbours horses and the vegetable plots on our 10 acre block. Home is where I live and feel happy. So indeed, No place like home! This entry was posted in A to Z challenge and tagged Auckland, happy, home, Manly, new zealand, paparoa. Bookmark the permalink.